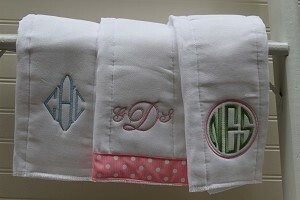 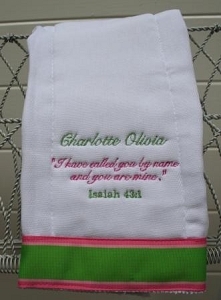 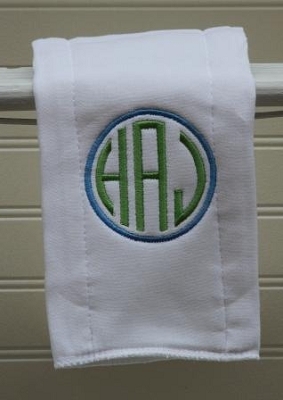 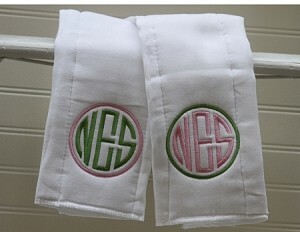 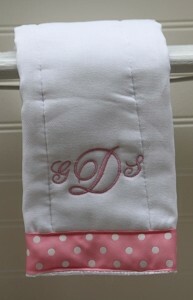 Custom monogrammed burp cloths are a great gift idea for any baby shower or newborn. 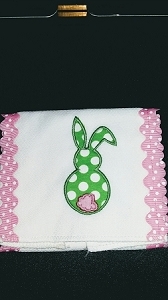 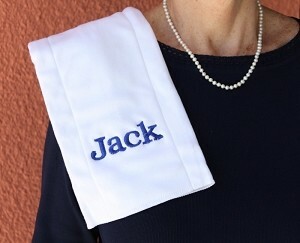 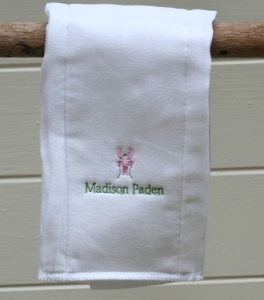 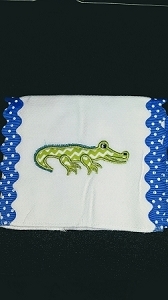 New mothers simply love our great embroidered burp rags. 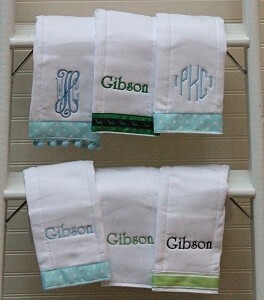 Personalize them however you like with a child's name or monogram. 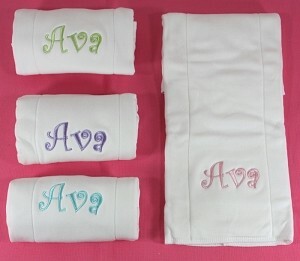 Many design options available including choo-choo trains for a boy and an adorable caterpillar, airplane, monkey or just about any motif you would want. 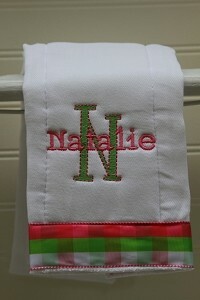 These custom baby presents make an excellent personalized gift for new babies.